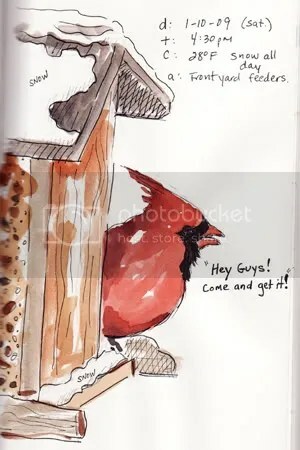 Cardinal at My Feeder Sketch – Let's Paint Nature! Is this not the most perfect sight in winter? 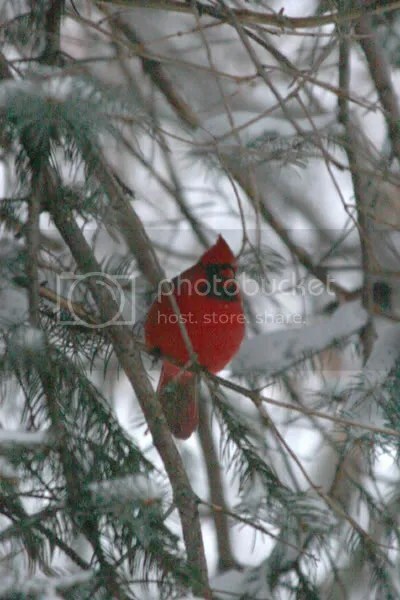 My mom came over and took some awesome pictures out my window. Unable to use her flash because of the reflection in the window, we were a little concerned at how dark the pictures came out, but with a little computer tweaking we were able to saved them all. 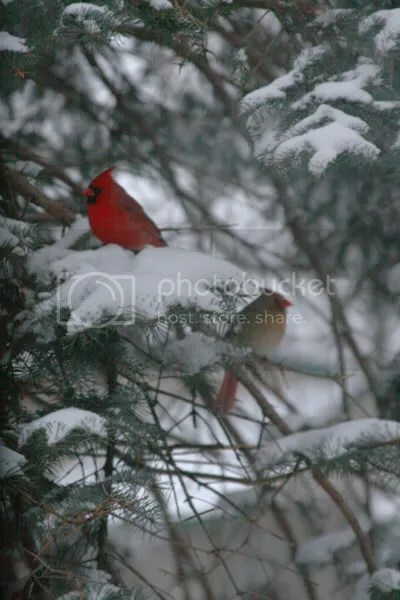 How I love that deep red color against the cool winter snow! Thank you Mr. Cardinal. How peaceful he sits munching on a sunflower seed. This pine tree sits just a few feet from the feeder. 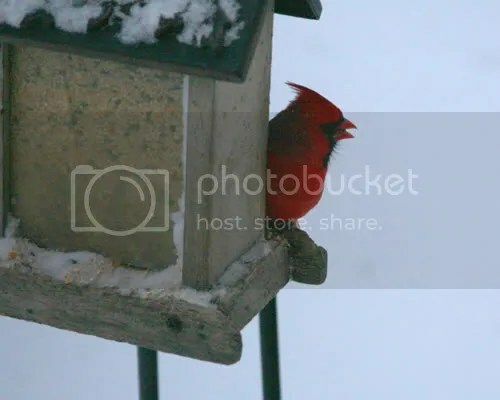 It gives the birds an opportunity to sit and take turns at the feeder. It also gives them protection, something they can seek shelter in. He likes sunflower seeds the best. He told me so. This sketchbook entry was done with a Winsor & Newton Cotman travel watercolor kit and Micron pens. D= date, T= time, C= weather conditions, and A= area of location. ← Let’s Paint the Cooper’s Hawk! I love your sketch. The Cardinal is perfect. I miseed this post … how’d that happen? LOL I love Cardinals! That first photo is stunning, just like Dawn says. It does look like a holiday card.